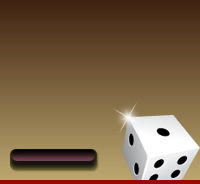 Double Diamond is a Vegas style slot which is one of the most loved games in the world! 3 Reel, 1 Payline non-progressive slot with a Wild Multiplier and a maximum Jackpot win of $2 500. Coin sizes range from 0.25 to 5.00 with a maximum bet of 3 coins. The Jackpot for 3 coins is 2 500 coins, for 2 coins the Jackpot is 1 600 coins. The extra coin awards 900 more coins for the Jackpot. The Double Diamond Wild symbols award top prize. The Wild symbol substitutes for other symbols and multiplies the payout. 1 Double Diamond Wild Doubles the payout of any winning combination. 2 Double Diamond Wild Quadruple the payout of any winning combination. 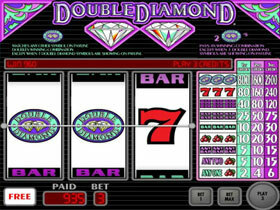 3 Double Diamond Wild on the payline pays the Jackpot of 2 500 credits! A New IGT Video Slot - Win up to 20 Free Spins when 3 or more Scattered Crypt Bonus symbols appear anywhere on the reels. An IGT Slot Game witgh an exciting Bonus Feature. Choose boxes on each lit row revealing extra Free Spins and/or Multipliers.